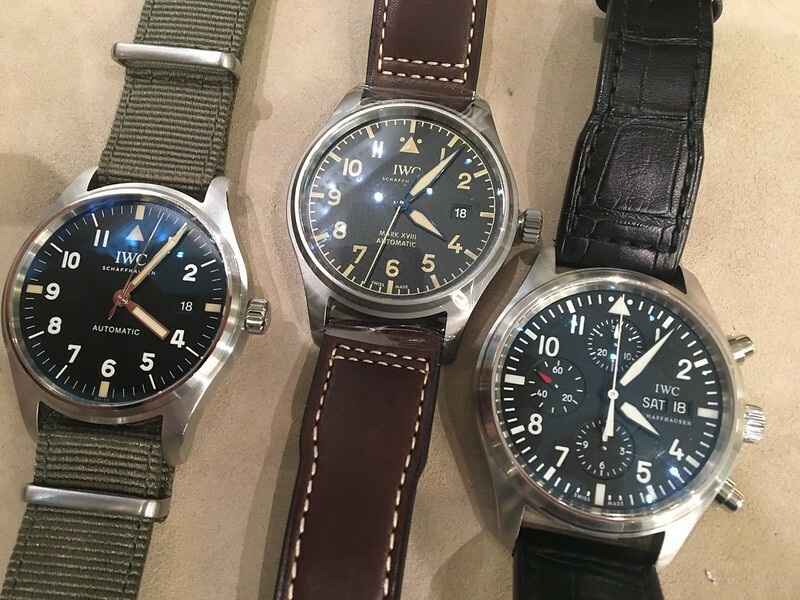 I received a call from the Boutique to tell me the Heritage Pilots had arrived. I brought my Tribute to MarkXI and Pilot Chronograph along for comparison. I really like it, actually, I like it a lot! The blued hands are great and the titanium case adds tons of character. Apologies for the compositions, the Boutique lighting is not great for pictures. It looks great on your wrist, and at 40mm it's a size I think will work for a lot of people. I think they look pretty sharp. I have my eye on the tribute model 1st. And that seems particularly noteworthy given the rest of the design, which I like a lot. 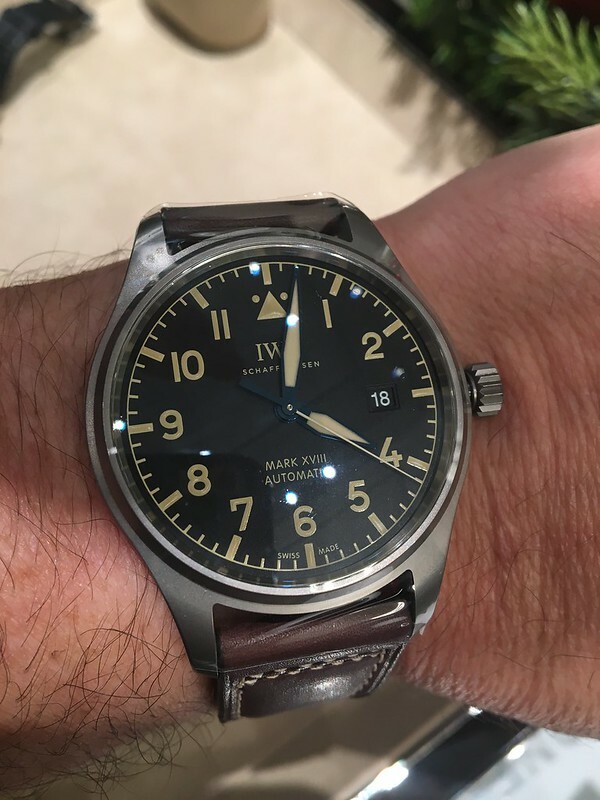 It's hard for me to believe, given what other manufactures do, that there weren't some alternative options that would work better--make the font and/or the color of the number print match the rest of the watch, move the date to a more subtle location, enlarge it slightly to better match, or get rid of it entirely. Just some thoughts. It certainly keeps this one off my list. And, FWIW, you are a free to disagree as I am to post my view. No need to move on from either. But DJK is right. Date looks like an afterthought on an otherwise very nice piece. Swiss watches are all about the details, yes? I'm sure this was a cost-saving measure: use the existing date wheels already in production, but....it still doesn't look right. The date window is fine. Mark XVIII HERITAGE looks great,and better than the original Mark XVIII imo. I like this watch's face and hands much more than the pointy-hand Marks. 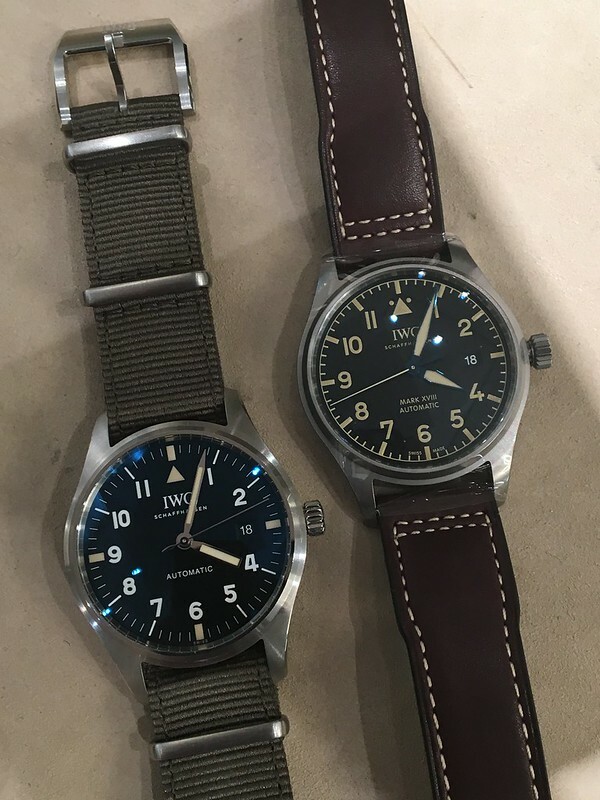 This visual language (precise, frugal, Cold-war-ish, modern, instrument-like) represents the best and truest essence of IWC that is all but lost nowadays. 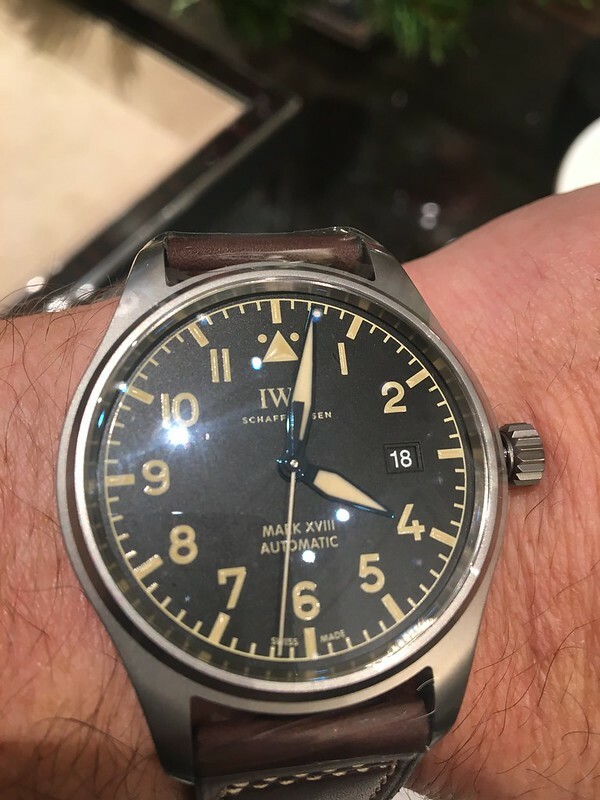 Very nice and I agree that IWCs seem to look best in person on the wrist. It's hard for me to believe, given what other manufactures do, that there weren't some alternative options that would work better--make the font and/or the color of the number print match the rest of the watch, move the date to a more subtle location, enlarge it slightly to better match, or get rid of it entirely. Next Topic: N E W M o d e l - IWC Ingenieur Chronograph "Tribute to Nico Rosberg"